The Boy Scouts of America’s updated Youth Protection Training is mandatory for all registered adult leaders in all BSA programs. Other adults participating in Scouting are strongly encouraged to take this one-hour online training. The prior version of BSA’s Youth Protection trainings will no longer be available. The updated training replaces all other Youth Protection trainings and is required for all BSA programs. Adults accompanying units on activities who are present at the activity for 72 hours or more, must be Youth Protection Trained and officially registered with the BSA. The 72 hours need not be consecutive. 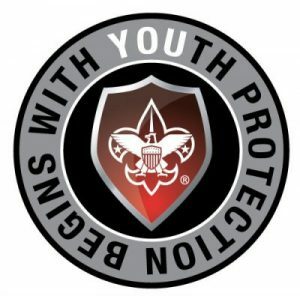 New leaders are required to take Youth Protection Training prior to registering with the BSA. Units cannot re-charter unless all unit leaders have completed the New YPT training and remain current every two years. Adult Youth Protection Training is required for adult program participants 18 years or older. Parents and guardians are strongly encouraged to take the training. Institutional Heads and Lion and Tiger Adult Partners are the only positions not required to take Youth Protection Training. Join us for the classroom version of the New Youth Protection Training on Thursday, October 4th, at 7:00-8:30PM at the Wayzata Community Church, 125 Wayzata Blvd E, Wayzata, MN 55391, map . This class is open to All registered leaders AND parents.